Find out what’s new in the Cosmodrome with Rise of Iron. 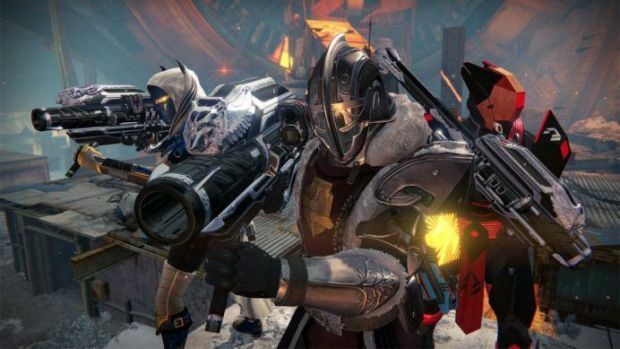 Bungie held its first reveal stream for Destiny’s Rise of Iron expansion recently and outlined how one of the major patrol areas – the Cosmodrome – would be changing with in the months to come. Along with new art design invoking a more “Northern” feel, there will be new gear for Hunters, Titans and Warlocks along with the usual faction weapons. The Fallen infected by SIVA have been given the affix “Splicer” (which includes Splicer Servitors) but they’re not friends with other entities of The Darkness. Enemies were seen at level 42 but DeeJ’s player Light level appeared to be 355, hinting at the next possible cap. The revamped Divide on Earth is being referred to as “The Graveyard” at Bungie, perhaps in reference to a Fallen Walker buried under the snow. These areas still contain events like Warsat defense but an odd item – a “Dormant SIVA Cluster” – was discovered by players which some speculate to be similar to the Calcified Fragments from The Taken King. As for the SIVA tendrils seen on Earth, it was noted that there might be a “secret” about them. Some new areas inside old spaces like the Rocketyard have also been opened up and some paths – like those on the Devil’s Lair strike – have been changed. It also seems that the strike, revamped for the expansion, will have a new boss this time around. As for SIVA, Bungie hinted that “a mind” is required to control it, further hinting at the involvement of a Warmind of some kind. Crucible for Rise of Iron will be revealed at Gamescom in August so it’s worth looking out for. Destiny’s Rise of Iron is out on September 20th for Xbox One and PS4.